In the summer of 2008, Layne spent much time listening to bees buzzing and heard beautiful songs from deep within the hive. She recorded the bees, tuned her frame drums to the pitch of their buzzing and called in the presence of brilliant musicians. Through these sacred technicians of sound the Hymns the bees sang in her mind have come into the human realm. Layne Redmond’s aclaimed musical career has focused on the frame drum, the world’s oldest known drum. For fifteen years, she researched the history of this drum in the religious and healing rites of the ancient Mediterranean world culminating in her book, When The Drummers Were Women. 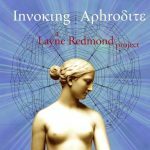 This book details a time when women were the primary percussionists and also explains why they are not today. Many of these drummers were also sacred beekeepers, their titles were the Melissaes, which means bee in Greek and Latin and the Deborahs, which means bee or swarm of bees in Hebrew. 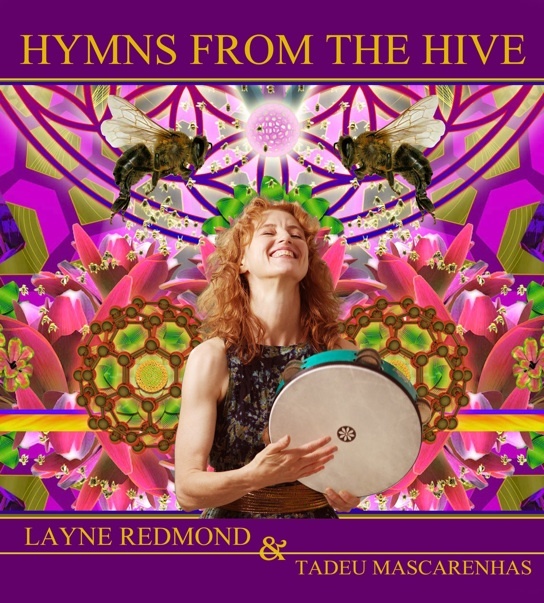 These ancient women, kept by their bees, inspired Layne to spend time studying the sacred traditions connected to beekeepers around the world. 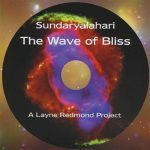 She discovered that the Sanskrit word, Anahata, means the unstruck, unhearable, celestial buzzing sound of creation. Old texts from India say that the audible sound most similar to the Anahata is the sound of bees humming. In the summer of 2008 she spent much time listening to bees buzzing and heard beautiful songs from deep within the hive. She recorded the bees, tuned her frame drums to the pitch of their buzzing and called in the presence of brilliant musicians: the voices of Amit Chatterjee, Mariella Santiago, and Marcela Belas; the violin of Vicki Richards; the percussion of Tommy Be, Everton Isidoro, Eduardo Moto and Ubaldo Oliveira; and the piano and keyboards of Tadeu Mascarenhas. Through these sacred technicians of sound the Hymns the bees sang in her mind have come into the human realm.